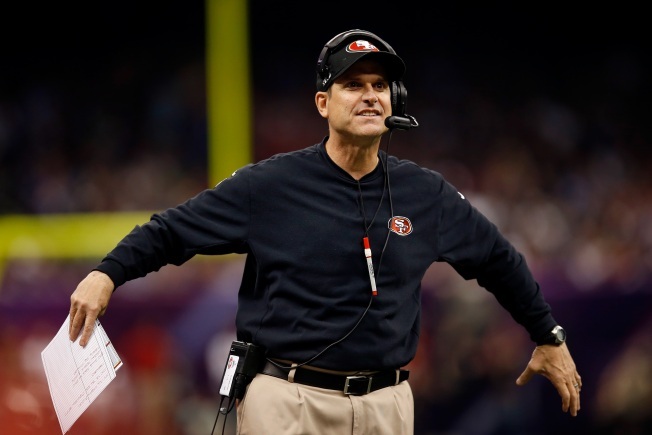 San Francisco 49ers head coach Jim Harbaugh has turned out to be quite a popular Halloween costume choice this year. All you need to pull off this look are some khakis, a black Niners hat and sweatshirt, a headset, a signature red pen dangling from your neck, oh, and of course, a good dose of some sideline theatrics and you're all set! Do you know someone who's dressing up as Harbaugh for Halloween? Email us a pic at isee@nbcbayarea.com. Below is a compilation of some of the Harbaugh costumes we found on Twitter and Instagram.